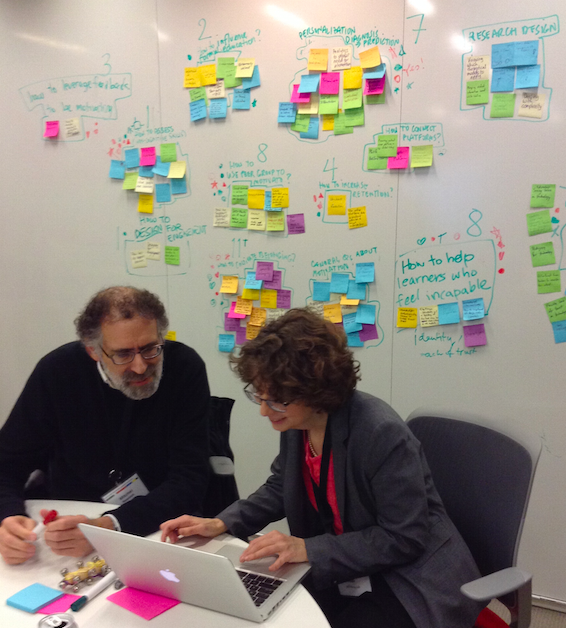 January 8-10, I was in Boston, where I represented The Open University and FutureLearn at a ‘design charette’ on motivation in online learning networks. This event was hosted by the MIT Media Lab in collaboration with PERTS at Stanford University and the Raikes Foundation. I haven’t attended a design charette before – these events are intensive, hands-on workshops that bring people from different disciplines and backgrounds together to explore the design of something (in this case online learning networks and, more specifically, MOOCs). The aim is to identify the visions, values, and ideas of the relevant community, allowing community members to collaborate to create innovative solutions. Jared Stein describes how the event was organised, and there’s a report on it here from Tim Vogelsang and Thieme Harris. This entry was posted on February 28, 2014, 7:29 pm and is filed under Educational Futures, Esteem, Events, Open online learning. You can follow any responses to this entry through RSS 2.0. You can leave a response, or trackback from your own site.